Reaching across the ocean to Greece? This was a first. London, maybe or Alaska? 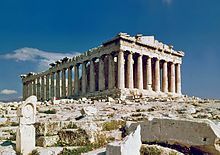 But connecting up with a piano student within range of the Parthenon was unthinkable. In fact, he now lives in Kos, an island with many sites and huge history. It’s famous for the Asklipion where Hippocrates, the ancient doctor lived and taught. As it happened, Greek literature and mythology were my earliest passions. At P.S. 122 in the Bronx, “Myths and Legends” was piped into our classroom courtesy of WNYE, the Brooklyn-based School District radio station. Actors with gorgeous, nuanced voices, dramatized stories about Romulus and Remus, Orpheus, Icarus, and Terpsichore. They were draped in ethereal strands of music that stimulated the imagination. Music blended well with tales of Gods and Goddesses. Orpheus and Eurydice inspired Gluck to compose a wondrous opera. George Friedrich Handel’s secular oratorios used Greek mythology as a muse in Acis and Galatea, Hercules and Semele. Could Chopin seep as well onto the Greek canvas through a web-cam driven exchange? Were piano lessons an Athenian or Spartan undertaking? Didn’t they feed the spirit and prime the muscles? Chopin’s B minor Waltz, a window to the soul, even had moments of Greek-derived “chromaticism” that created color and moods. The “modes” were ever-present in the Romantic genre, with pathos woven into them. So with a lofty spirit, our Skypian musical journey was undertaken, though an oxymoron to Bullfinch Mythology scholars. Not a cable shutdown, or power outage deterred us. No Trojan War intervened. And unlike Icarus who was cast into the ocean, we were flying high. I’ve followed your videos for a while now and would like to know more about your online lessons! Hi Gary, Thanks for your note. Yes, I give online lessons by Skype and on POWHOW.. Easier to arrange and navigate privately through SKYPE. Contact me for further details.